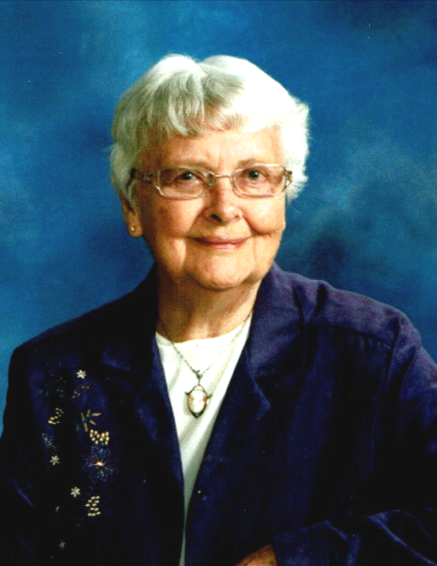 Obituary for Eldean Louise Truax | Munden Funeral Home & Crematory, Inc.
Eldean Louise Truax, 97, of Swansboro, passed away Tuesday, February 12­, 2019, at The Cottages of Swansboro. Her memorial service will be held at 11 a.m. on Saturday, February 16, 2019, at Swansboro United Methodist Church, officiated by Pastor Scott Dodson and Pastor Ron Gurganus.. Interment will take place at a later time in Canada. Mrs. Truax was born and raised on a farm in Kingsville, Ontario, Canada. She left home to attend business college where she met Clifford Truax. He was in the Royal Canadian Air Force and they married in 1944. Mrs. Truax was a talented and generous homemaker. After raising her two adopted children she was very giving with her time. She was active with many charities, including knitting hats for chemo patients and prayer shawls for the Methodist Church. She was a personable and honest woman who balanced maintaining relationships with old acquaintances and making new friends. She managed to stay mentally sharp and was well versed in computers and technology. She will be remembered as a devoted wife, mother, grandmother, and great-grandmother that will be missed. She is survived by her daughter, Mary Louise Metke and husband Rob of Deer River, MN; son, Wayne Truax and wife Minnie of Cape Carteret; grandchildren, Matthew Truax, Jennifer Truax, Phillip Truax and Melissa Gourdine and husband Devyn; and great-grandchildren, Annalissa Jankowski, Autumn Jankowski, Elizabeth Gourdine, Lucas Truax, Ryan Jones, Zachary Truax, Kylie Truax, Michael Truax and Adalyn Truax. Family will receive friends following the service on Saturday at Swansboro United Methodist Church. In lieu of flowers, memorial donations may be made to Swansboro United Methodist Church Building Fund at 665 W Corbett Ave, Swansboro, NC 28584 or the Lower Cape Fear Hospice at 1414 Physicians Dr., Wilmington, NC 28401.